We here at Mushpa + Mensa are excited to be in Wilmington’s 23rd Annual Orange Street ArtsFest with so many other talented artisans! The Orange Street ArtsFest (OSAF) will return Memorial Day weekend for it’s 23rd year. The celebrated street fair is held on Orange Street between Front and Second Streets, next to the Hannah Block Historic USO/Community Arts Center, with some exhibitors inside the building and on 2ndStreet. The OSAF is one of the largest arts festivals in Downtown Wilmington with more than 80 artists exhibiting oil and watercolor paintings, pottery, jewelry, metal arts and paper creations. 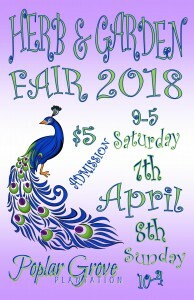 Mushpa + Mensa is super excited about Spring and doing the 26th Annual Herb & Garden Fair. 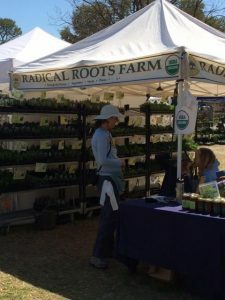 Meet your farmer, your planter, your herbalist, your master gardener and artisan-maker by previewing the 2018 Vendor List Herb and Garden. There is a $5.00 admission fee; kids 12 & under are free. 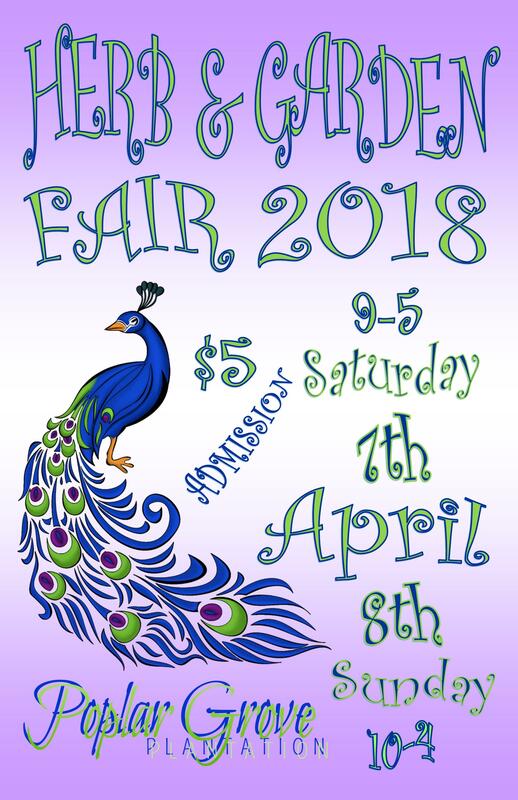 Included in your admission price is live music by artist and musician, Mark Herbert from Broccoli Brother Circus and singer/songwriter Ann Meadows in the Gazebo; Kid’s Activities for the little ones, and free classes & nature trail walks (come see what is in bloom!) for young and young-at-heart throughout the two-day event. Learn from your neighbors and some of the community’s best local historians, herbalists, and basket-makers! Our State magazine will be on site to distribute their special April Heirloom issue. We will be raffling off a fabulous grill from Lowe’s at Porter’s Neck. There will be hamburgers, hotdogs, wraps, smoothies, and baked goods available for purchase, including Poor Piggy’s, Southern Concessions, Lil Johnnie’s Crab Shack, That’s a Wrap and Quesadillas, and Kona Ice. For the kids, The Stables at Poplar Grove will be open for self-guided tours (closed toes shoes required) throughout the day for $5.00 a person (young and old) as well as animal Meet & Greets on the back lawn. Self-guided house tours will be offered at a discounted rate of $7.00, though you are welcome to sit on our porches and visit our Gift Shop and Slavery Exhibit in the basement of the Manor House for free. The blacksmith shop will also be fired up, so be sure to follow the billowing smoke & peek inside. 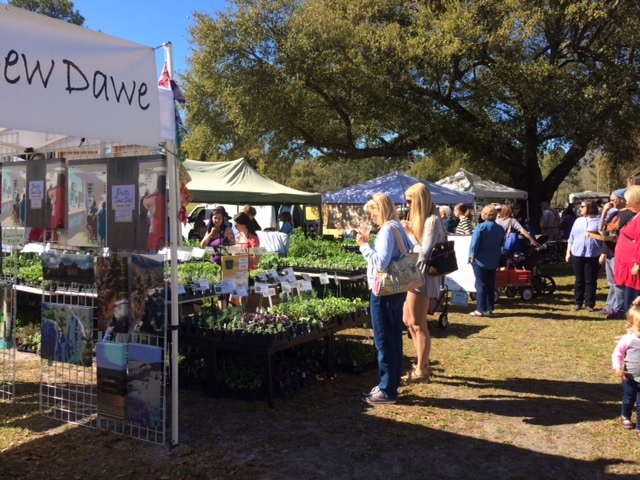 Several participating vendors at this year’s Fair will also be kicking off our Farmers’ Market Opening Day on Wednesday, April 18, 2018 from 8AM-1PM, so this will not be the only time to introduce yourself. Special guests, Pender County Master Gardeners and Pender County Tourism, will be on site with Information Booths. Classes held in the barn. Look for the double doors! Your $5 admission fee supports Poplar Grove, a non-profit 501(c)3 Public Charity, dedicated to conservation, education and preservation. 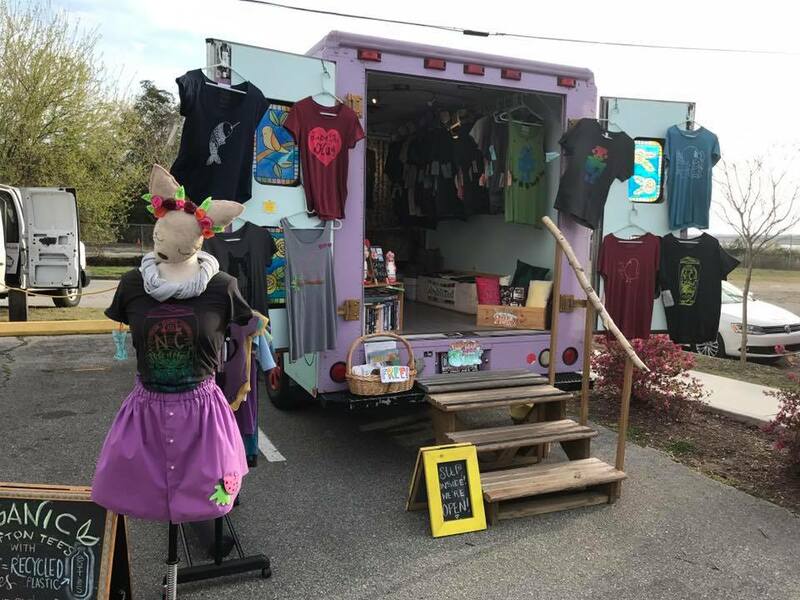 Mushpa + Mensa are bringing the art truck loaded with tons of cool stuff to Pop-Up Raleigh. 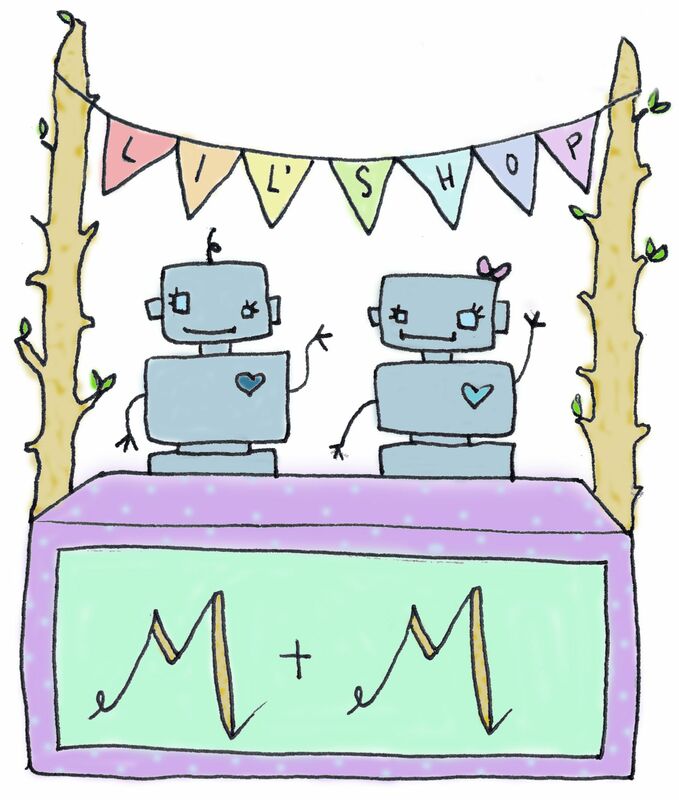 Shop vintage and handmade this Saturday (3/17) at Trophy on Maywood. 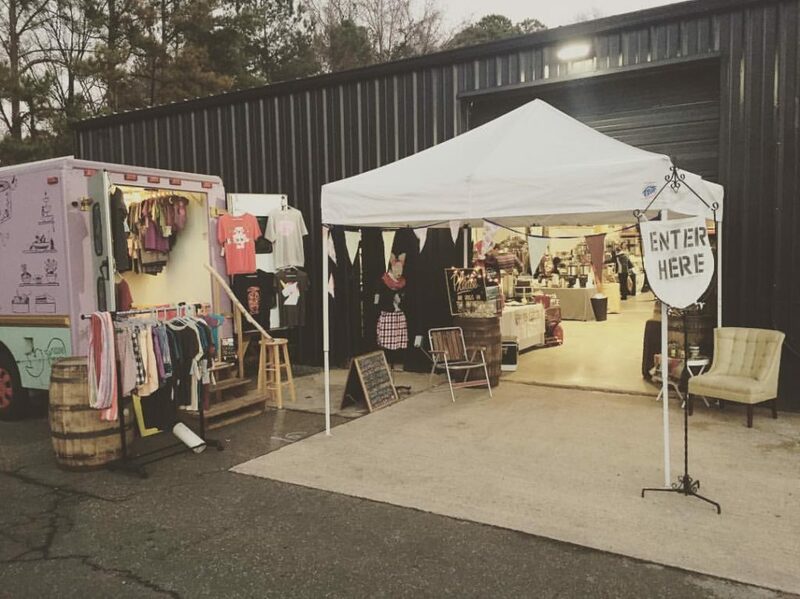 The market will have 40+ vendors with vintage decor, clothing and furniture, plus the very best of artisan crafts from around the South East. You’ll find something for everyone! As usual, there will be food trucks and amazing beer from Trophy Brewing. Don’t miss this show! 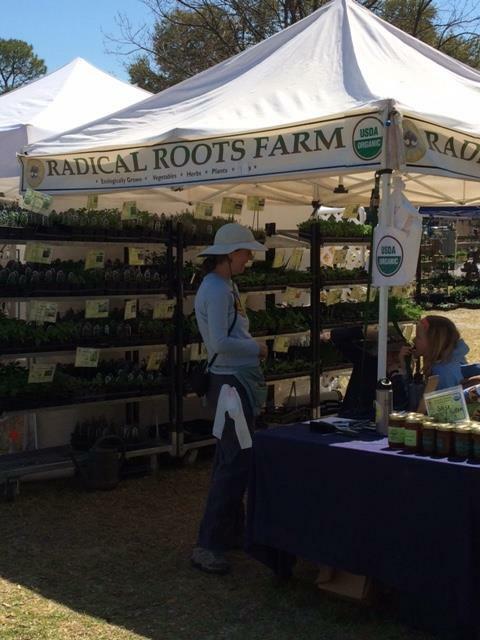 100% Local 100% Guaranteed farmers and artisan market. Chef demonstration with market ingredients you can purchase on site. Plus Beer! Mushpa + Mensa approved! It’s at Waterline Brewery!!! There is even food trucks sometimes! We here at Mushpa + Mensa are excited to be in Wilmington’s 22nd Annual Orange Street ArtsFest with so many other talented artisans! 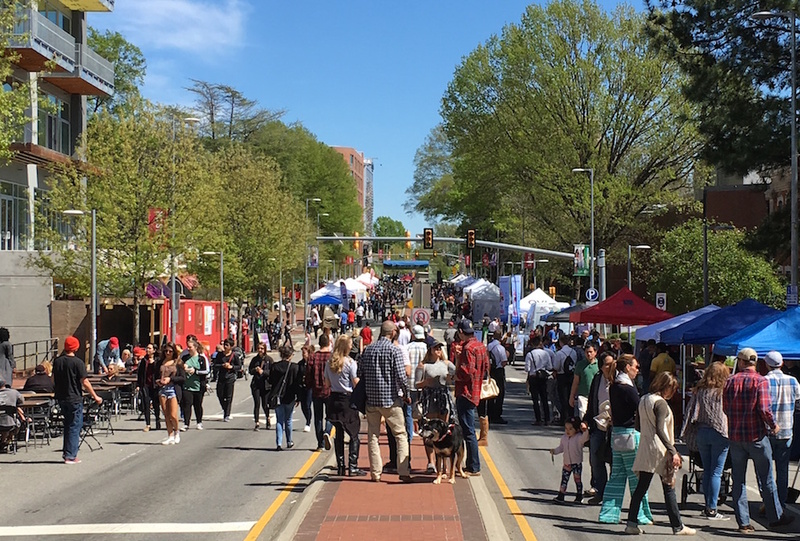 The Orange Street ArtsFest (OSAF) will return Memorial Day weekend for it’s 22nd year. The celebrated street fair is held on Orange Street between Front and Second Streets, next to the Hannah Block Historic USO/Community Arts Center, with some exhibitors inside the building and on 2ndStreet. The OSAF is one of the largest arts festivals in Downtown Wilmington with more than 80 artists exhibiting oil and watercolor paintings, pottery, jewelry, metal arts and paper creations. This year the OSAF will be juried by Owen Wexler and Miriam Oehrlein. Mr. Wexler is a long-time Wilmington resident and internationally known visual artist whose work has been featured on TV and film. Ms. Oehrlein, winner of the 2012 Belk Designer Showcase, specializes in jewelry design and owns New Elements Gallery. For more event details click here! Location: The festival will take place at our namesake location on Orange Street between Front and 3rd streets, next to the Hannah Block Historic USO/Community Arts Center and in front of the building on 2nd Street.